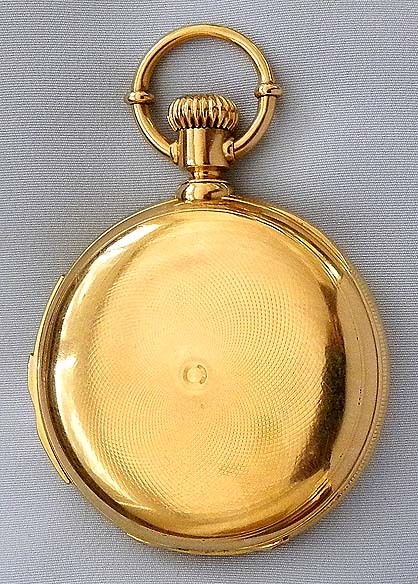 Fine and heavy Swiss 18K gold minute repeater antique pocket watch by Auguste Saltzman, Chaux-De-Fonds, circa 1890. 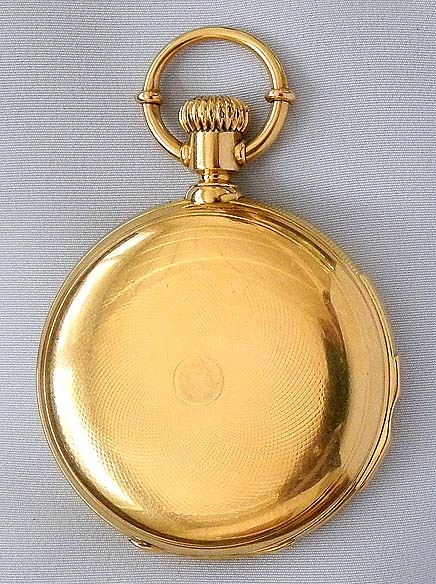 Heavy hunting case with traces of engine turning and repeat slide in the band. 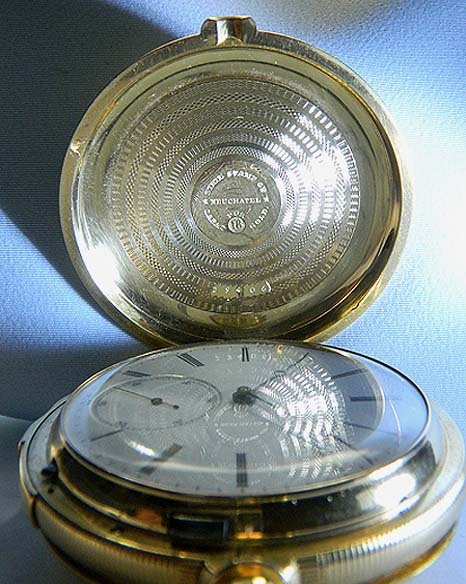 Gold dust cover in addition to glazed observation cover Fine white enamel dial (scratches in the overglaze) with black markings and blued steel hands. 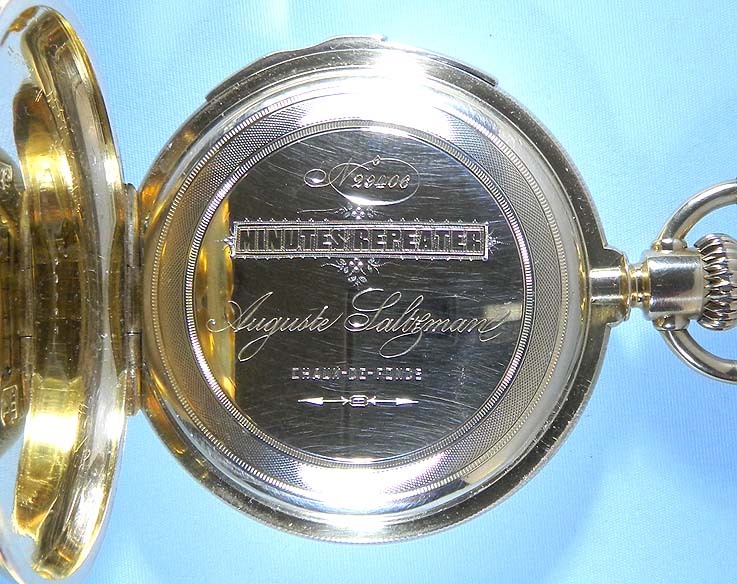 The inside of the cover with decorative engine turning. 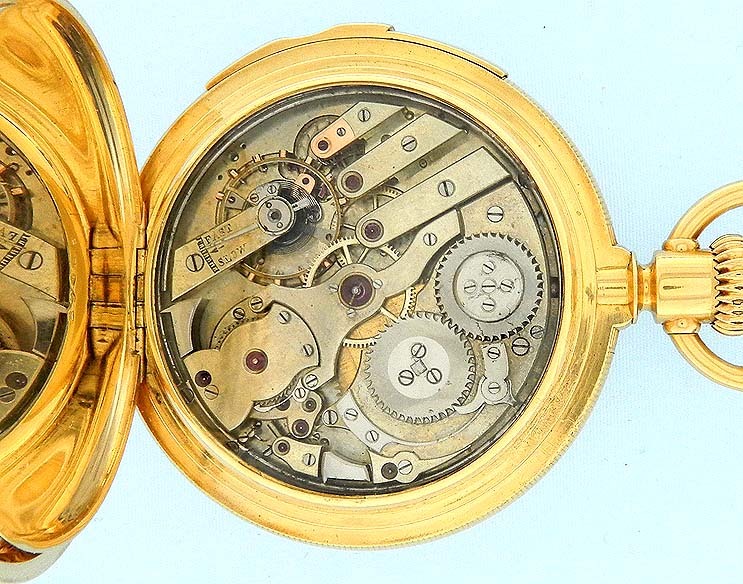 High grade approximately 34 jewel nickel movement jeweled to the center and hammers with gold escutcheons and wolf tooth winding. 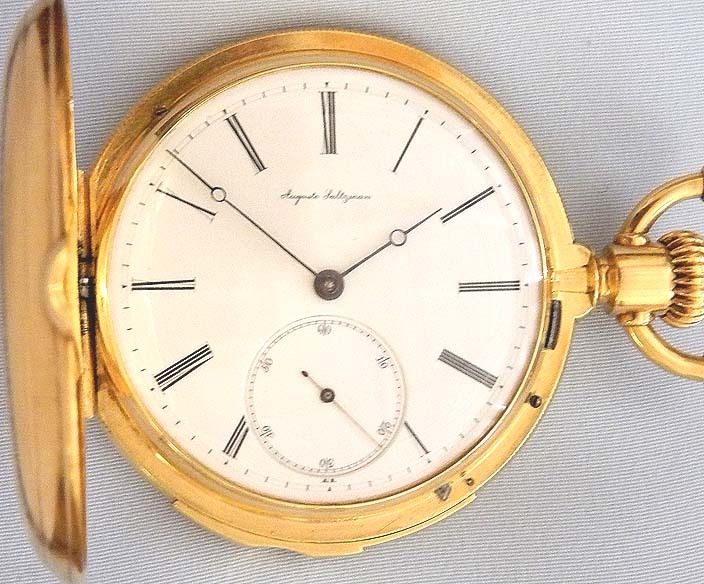 This watch has an unusual wind/setting mechanism. The lever at V is pulled out to set the hands. Then the lid is closed firmly to press down the little button just before V which puts it back into the winding position.